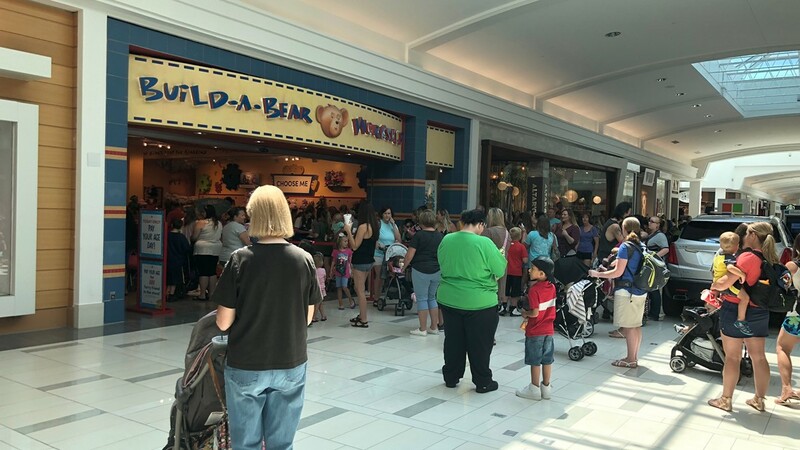 Build-A-Bear stores have had to cut off the lines for their 'pay your age' event because of safety concerns. 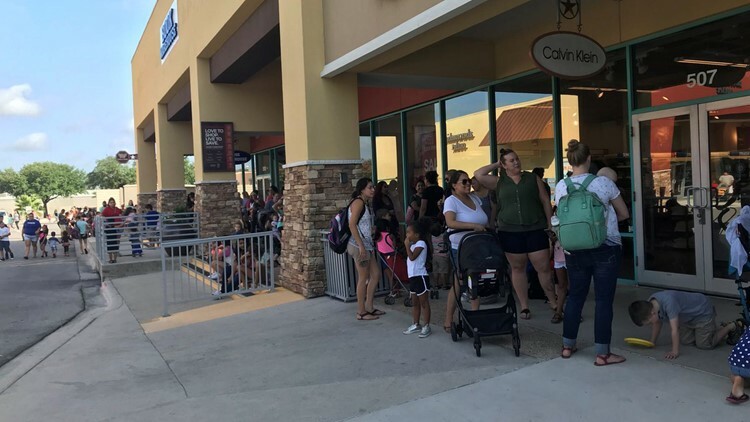 Build-A-Bear Workshop has had to close the lines for for its "pay your age" promotion at stores throughout the U.S as long lines have caused safety concerns among local authorities. 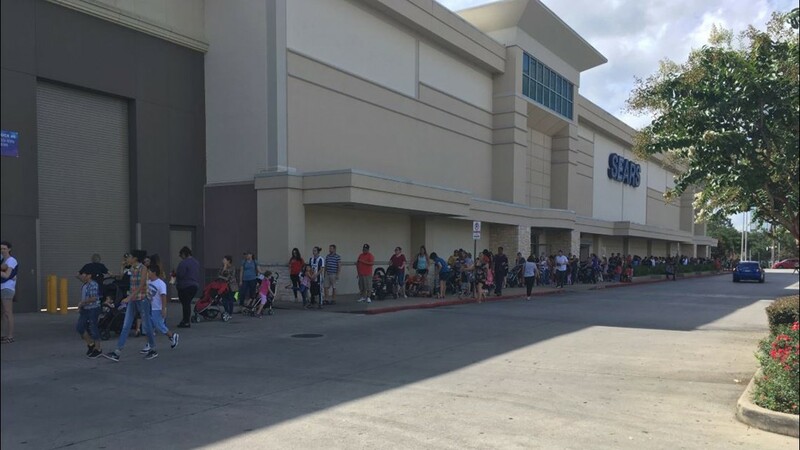 Customers began lining up hours before before store openings with several users posting pictures and videos of "Black Friday-esque" turnout. 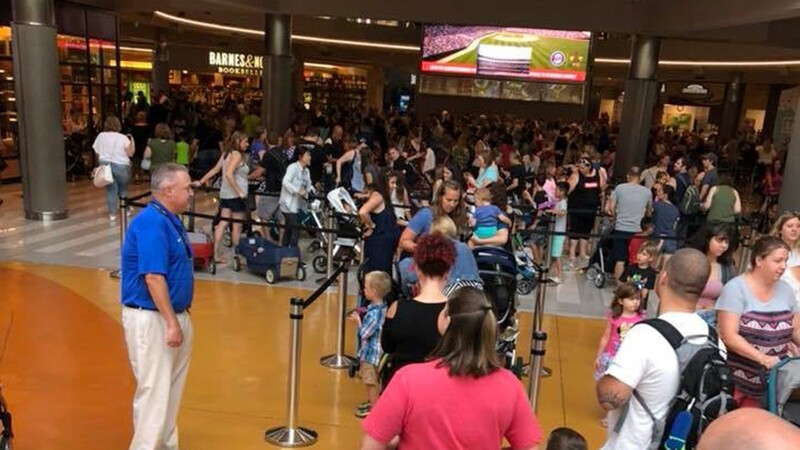 10News has heard from viewers in line in Pigeon Forge and at West Town Mall in Knoxville who all say the same thing: they're long and out the door. 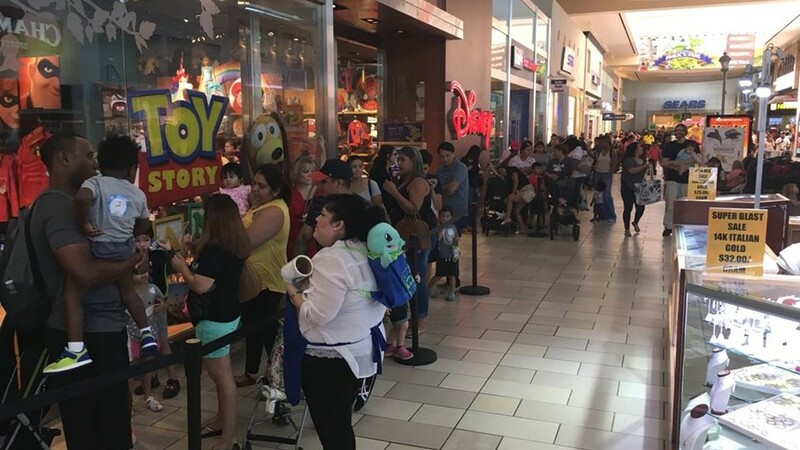 People say they've been waiting for more than three hours. 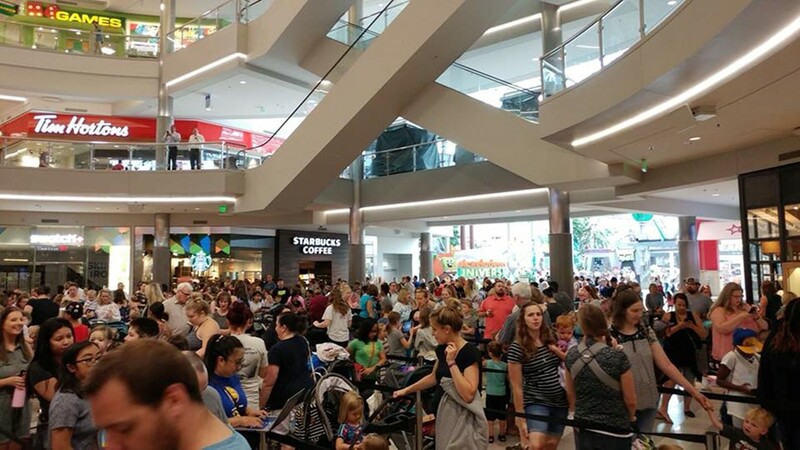 "Per local authorities, we cannot accept additional Guests at our locations due to crowds and safety concerns. We have closed lines in our U.S. and Canada stores. We understand some Guests are disappointed and we will reach out directly as soon as possible." 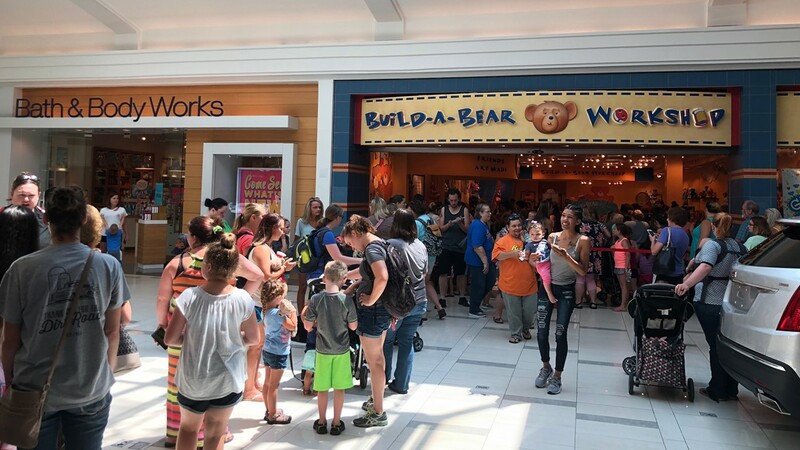 Some customers, however, did have a positive experience, noting that the Build-A-Bear staff was "attentive," "quick-moving," and "made their children very happy." The “pay your age” day promotion allowed customers to purchase a character and pay their current age with a cap set at $29. 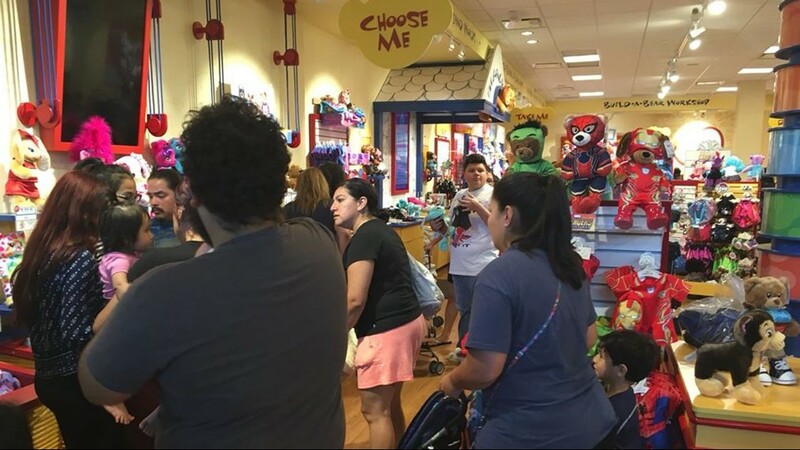 The entire store's collection of toys, including popular licensed characters, were available at the event. 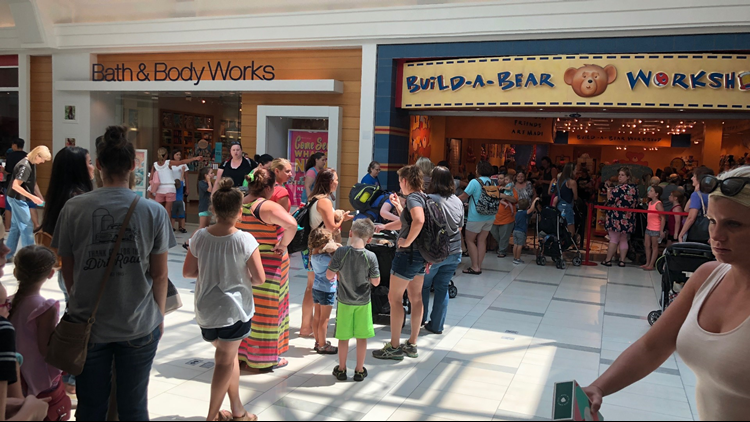 Build-A-Bear stores, including the Knoxville location at West Town Mall, experienced overwhelming response and hours-long lines for its 'Pay Your Age' promotion on July 12, 2018. 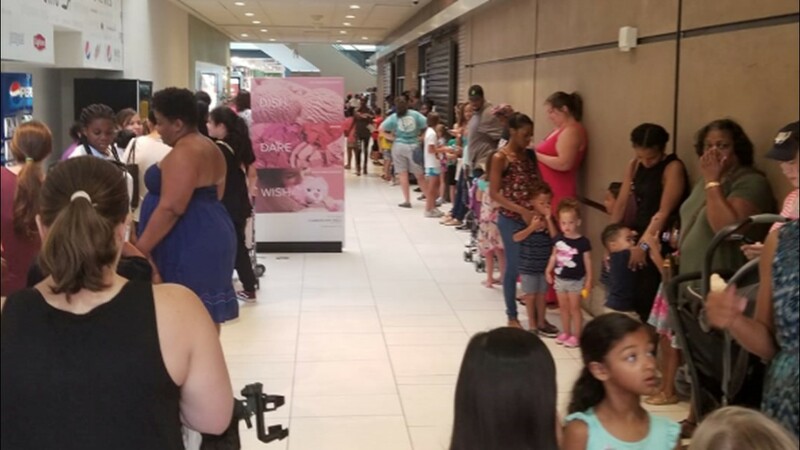 The stores had to close down lines due to "safety concerns"
Build-A-Bear stores, including the Houston location at Memorial City Mall, experienced overwhelming response and hours-long lines for its 'Pay Your Age' promotion on July 12, 2018. The stores had to close down lines due to "safety concerns"
Build-A-Bear experienced overwhelming turnout at its stores nationwide on July 12, 2018, during its 'Pay Your Age' event. They even had to close down lines due to "safety concerns." 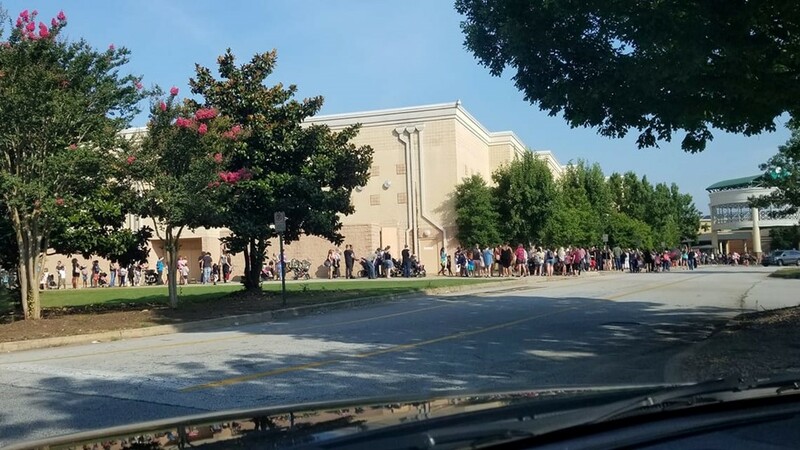 This was the scene at a mall in Douglasville, Georgia. 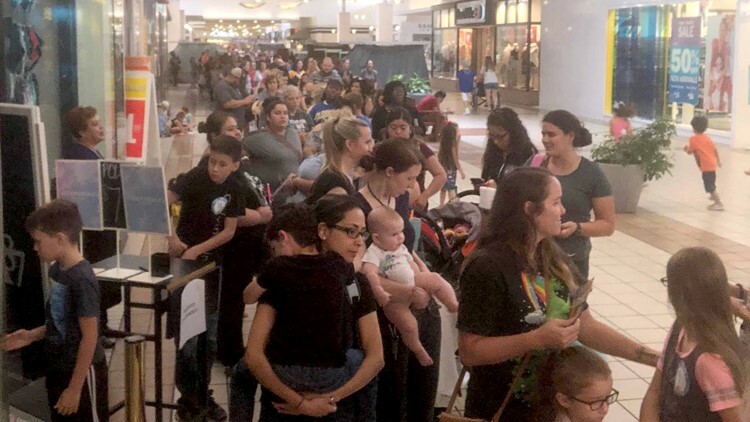 Build-A-Bear experienced overwhelming turnout at its stores nationwide on July 12, 2018, during its 'Pay Your Age' event. 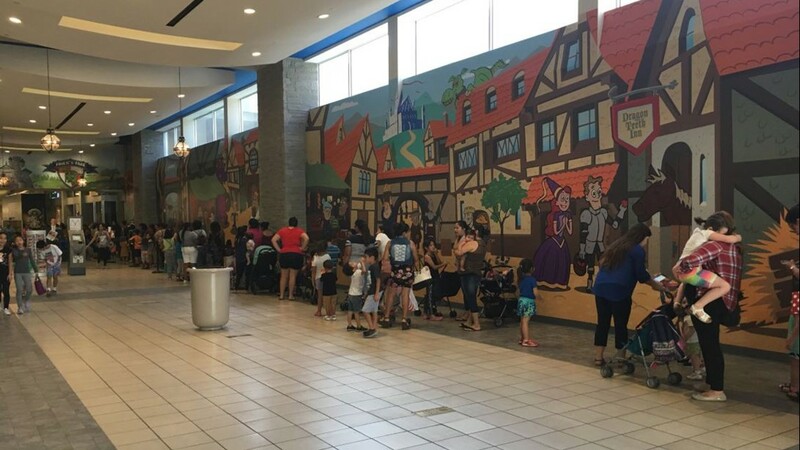 They even had to close down lines due to "safety concerns." This was the scene at a mall in Cumberland, Georgia.